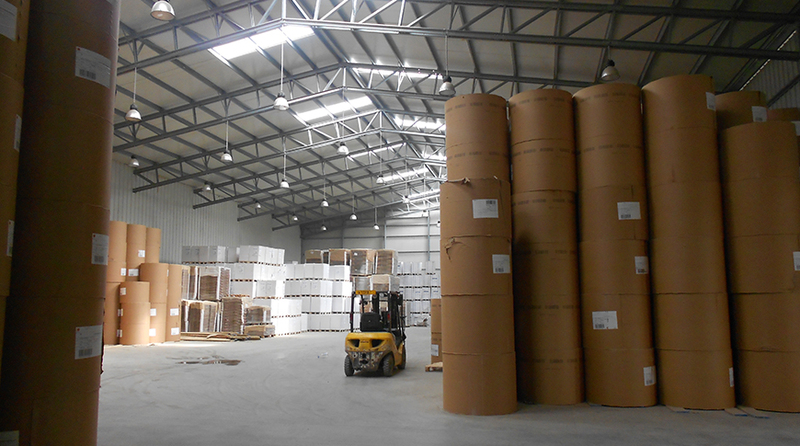 El Hillal required two large pre-engineered steel industrial buildings: a warehouse and a production facility. We opted both times for joined steel Astra halls. 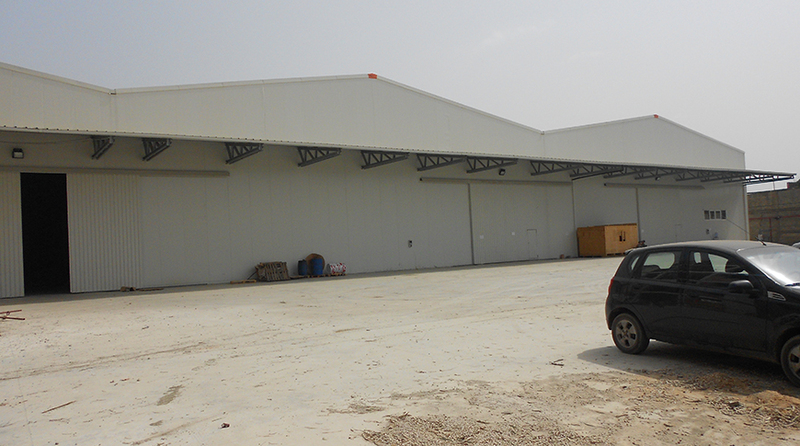 The largest pre-engineered steel building consists of three halls, together measuring up to 6500 m². 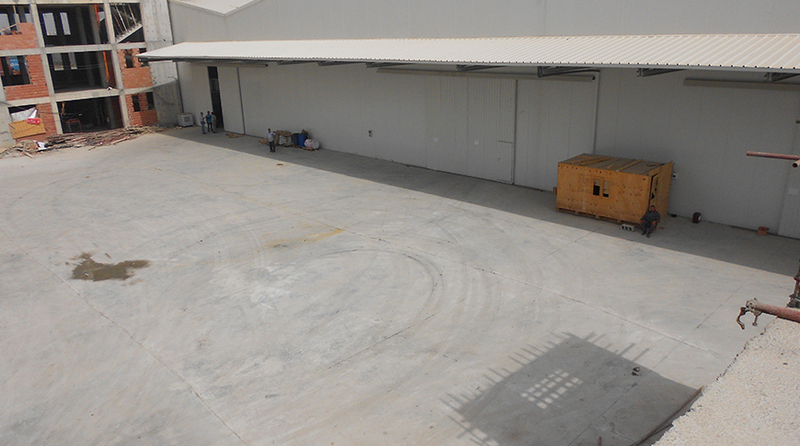 Inside the steel hangar, there is ample room for machines and containers. 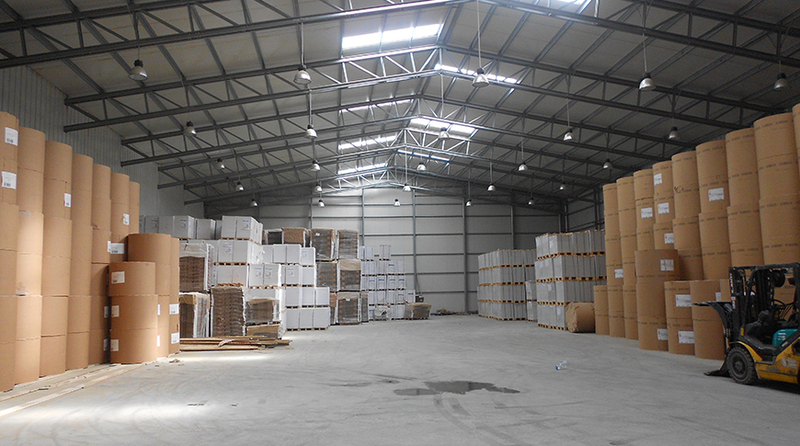 The smaller steel industrial hall is only used for warehousing and boasts an impressive 3300 m², with four large sliding doors. Building regulations in Algeria are very strict. And being this close to a major airport, restrictions on height, appearance, etc. of the steel industrial buildings are even more severe. That’s why Frisomat sat down with local authorities beforehand, making sure we knew exactly what the boundaries were. This way of working is a no-brainer anywhere in Africa. Our experience of over thirty years on the continent has told us that differences in local regulations are extensive, and should by no means be taken lightly. By preparing the project this thoroughly, we managed to produce and build the steel production units in under twelve weeks!